Upgrade your Monster Energy Cup weekend with once-in-a-lifetime VIP experiences! Get up close to all the racing action with the Inside Track, stand on the stage during opening ceremonies, walk the track prior to the race, and much more! Click here to upgrade your Monster Energy Cup experience now! Tickets available at the Sam Boyd Stadium Box Office on the day of the event only. Restrictions, exclusions and additional charges may apply - Market pricing applies to all tickets. Prices can fluctuate based on factors that affect supply and demand. Lock in your price and location today. Quickly and easily buy and sell Monster Energy Cup tickets with other fans at the official ticket exchange powered by PrimeSport! Buyers get guaranteed tickets, even if the event is sold out. For more information on Official Tickets Exchange and Travel packages, visit PrimeSport.com or call 800.591.9198. The Pit Party offers a full day of entertainment including athlete autographs and experiential elements. Pit passes are $20 each through UNLVtickets.com or 702-739-FANS. Or get FREE access by simply recycling an empty can of Monster Energy. Restrictions and additional charges may apply. Pit pass must be accompanied by an event ticket. Get a Can of Monster Energy at any participating Terrible Herbst location to recycle at the pit entrance for your FREE admission to the Pit party! And right now, pick up your Monster 16 oz. at 2 for $4 or single at $2.59. Get a Can of Monster Energy at any participating Smith's location to recycle at the pit entrance for your FREE admission to the Pit Party!...And right now, Smith's has special pricing on Monster Energy...Smith's fresh food, low prices. 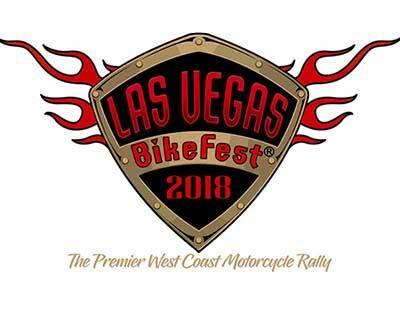 Las Vegas BikeFest, the premier West Coast Motorcycle Rally, will be held at the Downtown Las Vegas Events Center on October 11-14. Motorcycle enthusiasts from all over the world come for four days of entertainment, contests, shopping, and everything motorcycle! Save $10 on a Weekend, Party or Ultimate Pass when you use code LVB523 at https://lasvegasbikefest.com/tickets/. Spend your weekend at a Monster Energy Cup host hotel! Select Las Vegas hotels are offering Monster Energy Supercross fans special rates. Reserve yours now while supplies last. Mandalay Bay and the AIMExpo are offering special room rates the week of the Monster Energy Cup and Powersports Industry Week. Click HERE to book your rooms now. To book your rooms in the Monster Energy Cup fan block, click HERE or call 1-888-786-7389 and use code SCIMECF. Special rates available for fans until Tuesday, September 25, 2018 or while supplies last. Conveniently located just 3 miles south of Sam Boyd Stadium, Sunset Station Hotel & Casino offers a relaxed alternative to the Las Vegas Strip experience. This Spanish-themed property houses seven restaurants, four bars, a food court and a Starbuck's outlet. The casino offers slot machines, table games, a keno lounge, bingo and poker rooms, and a 300-seat race-and-sports book. Mandalay Bay Convention Center – Shuttles will pick up outside the Shark Reef Aquarium entrance, near the AIMExpo Outdoors! Demo Area. Shuttle hours are 11:00am-5:30pm. Shuttles will depart Sam Boyd Stadium immediately after the event ends. The stadium and pits are connected and all fans are required to enter the pits through the stadium. To enter the pits, enter the stadium gates and proceed on the concourse to gate N. You will then proceed out of Gate N, redeem your pit pass or empty Monster Energy can at the pit Pass redemption Tent, then continue toward the pit party entrance.